If you need to cover your back seats, you’ve come to the right place. 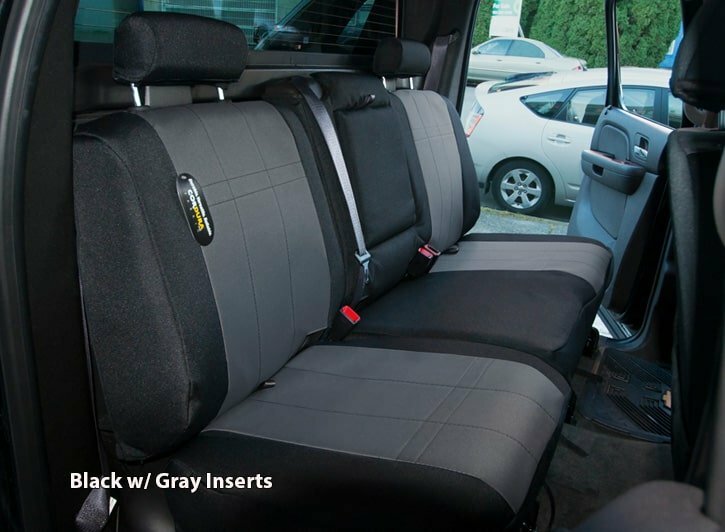 ShearComfort’s Custom-Made Back Seat Covers are the perfect solution if you need to protect your original upholstery. If comfort and aesthetics are more important to you than durability, we have a variety of products that will suit your needs. Our seat covers are custom-made to fit any seat configuration, including our bench seat covers. Knowing more about your vehicle will help you choose the right seat covers, ones that will fit your car correctly. You may have features you had no idea were there! Some may even surprise you. Our Custom-Made rear seat covers offer such a high level of protection in part because they are designed to wrap around the contours of your seats. 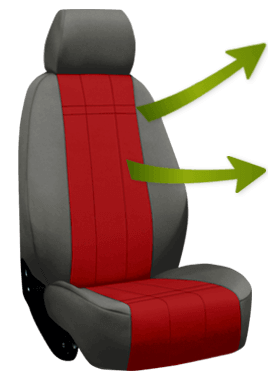 Because of the perfect fit, it is very difficult for dust, dirt, food, liquid, or anything else to get through them and into your original upholstery. In addition to a perfect fit, our automotive-grade fabrics are specifically made for the heavy wear and tear that often occurs in vehicles. If you have any questions about which products would work best for your back seats, don’t hesitate to speak to one of our team members by calling us toll free at 1-800-663-7750.